San Francisco Mayor London Breed and Supervisor Jane Kim broke bread on Monday at the site of a former post office at 101 Hyde St. that will now become a women’s food hall. La Cocina Municipal Marketplace will open its doors in the Tenderloin neighborhood that will help provide working class and immigrant entrepreneurs a place to help women get through the barriers of getting into the food industry. The marketplace will also help provide one of the few affordable food options in the neighborhood. 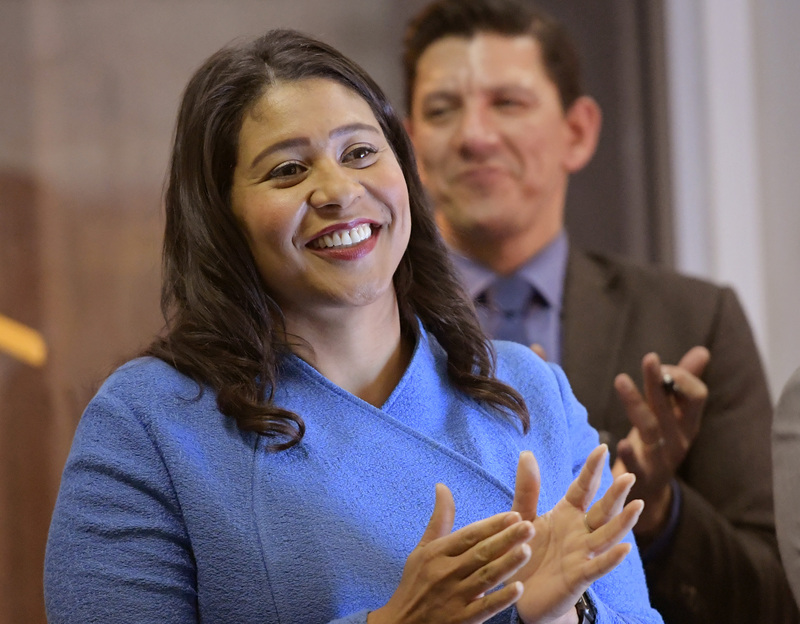 San Francisco Mayor London Breed applauds at a press conference announcing La Cocina Municipal Marketplace to open in San Francisco, Calif., on Monday, September 24, 2018. The former post office has had a bit of history, as residents first fought to open a post office in the neighborhood for SRO residents who did not have access to mail services, said Kim, who represents the Tenderloin neighborhood. Following the closure of the post office due to federal budget cuts, it was slated to turn into market rate housing but the developer was unable to build. City officials convinced the real estate company Shorenstein, who were working on another project at 1066 Market St., to acquire the building so The City can build 100 percent affordable housing. 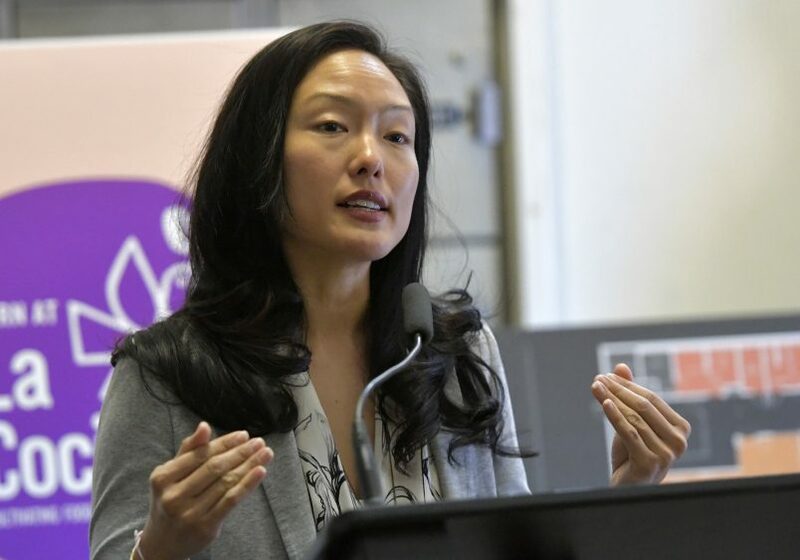 Supervisor Jane Kim speaks at a press conference announcing La Cocina Municipal Marketplace in San Francisco, Calif., on Monday, September 24, 2018. 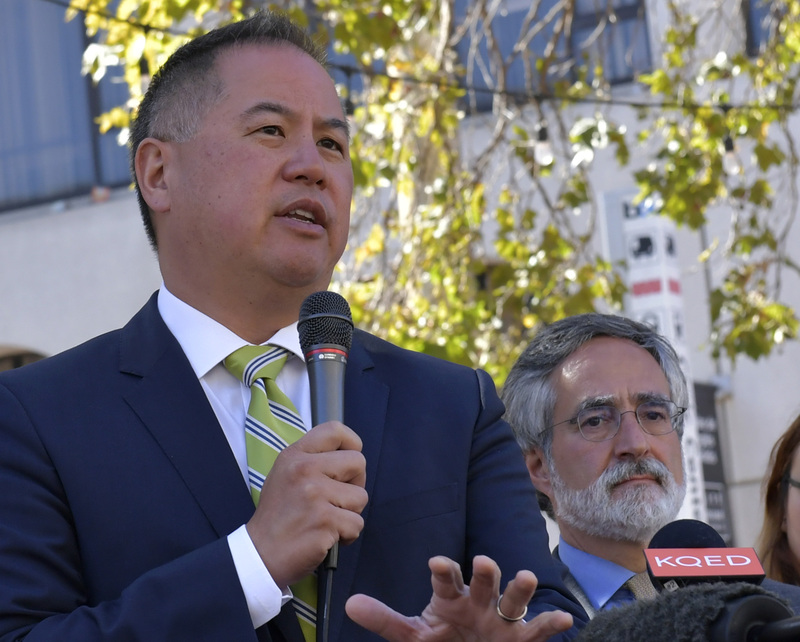 In the meantime, Kim said the former post office would most likely remain vacant for years before housing units were built, and the idea to place a food market hall came from Randy Shaw, the editor of Beyond Chron and director of San Francisco’s Tenderloin Housing Clinic. 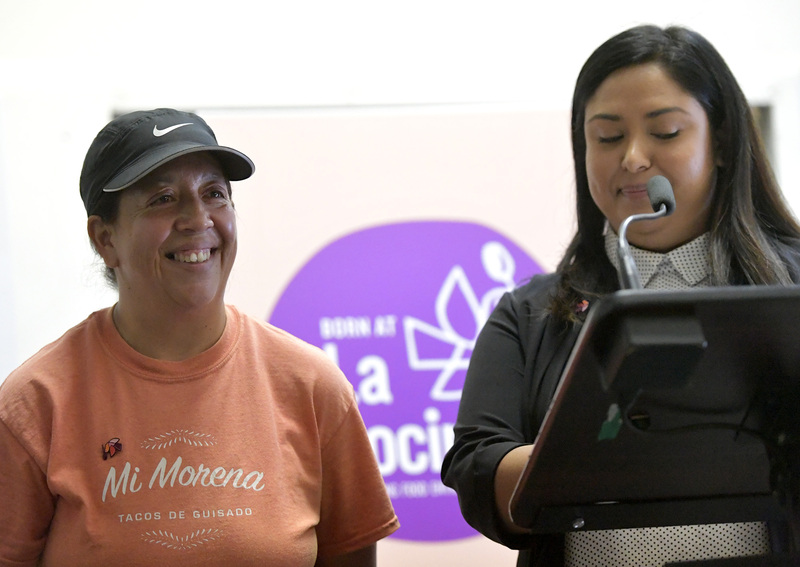 Guadalupe Moreno, left, a La Cocina entrepreneur, smiles as Aniela Valtierra, operations director of La Cocina, translates her Spanish speech to English at a press conference announcing La Cocina Municipal Marketplace in San Francisco, Calif., on Monday, September 24, 2018. La Cocina is still seeking contributions for construction costs and implementing the program. So far it raised 64 percent of their $5 million goal. The City has pledged $1.5 million in support of the marketplace.